A perfect fit for small control panels. The S8VK-C Lite family is an ideal choice for cost-sensitive applications that require a dependable high-quality power supply. The family is available with power ratings from 60 W to 480 W.
The S8VK-G offers a wide product range (from 15W up to 480W), in a very compact size. 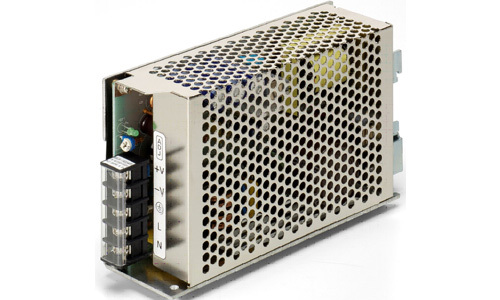 It is 13% smaller than comparable power supplies and the smallest on the market of its type. The 3 phase S8VK-T series adds to the compact Power Supply range (from 120W up to 960W), giving you the best footprint size. Just like the single phase type S8VK-G. 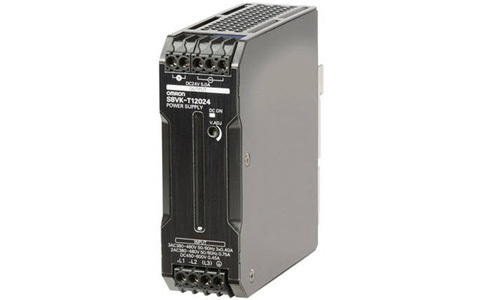 It has the wide acceptable input range including 3-Phase input (3 x 340 to 576 VAC) 2-Phase input (2 X 340 to 576 VAC) and DC input excluding 960W (450 to 810 VDC). High vibration resistance with Metal DIN-rail mounting clip. The S8VS-A/B series are AC to DC Power supplies with a display of output voltage, output current, and peak hold current. The A type S8VS has a function to show the maintenance forecast time in operational years. This will contribute to the equipment maintence and allow for replacement before the end of product life. The B type has a function of total run time monitor to allow the user to properly schedule equipment maintenance. 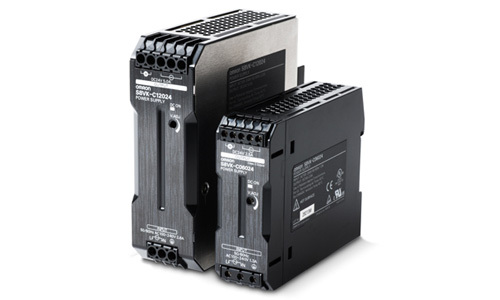 The S8AS series are smart power supplies with digital circuit protectors in a single package. The output is divided to 6 or 8 channels and provides adjustable tripping current range for each channel at 0.1 A increments. It can save installation space in panel with less-wiring by the integration of the circuit protector functions. 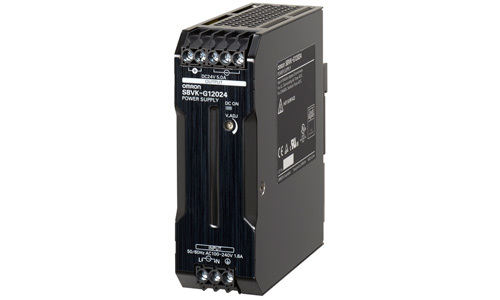 The S8JX-G is the cost effective power supply delivering Omron quality and reliability. 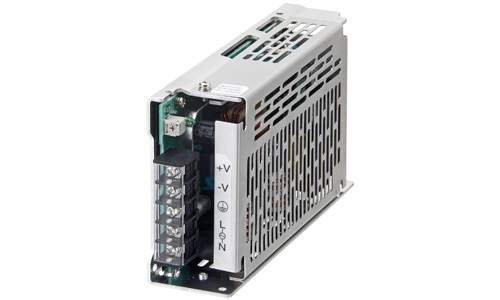 The range of this Power Supply covers up to 600 W, the output voltages are 5, 12, 15, 24 or 48VDC. The low profile and multiple mounting options help you reduce panel space. With a minimum life expectancy of 10 years and protection against over-voltage, over-current and short circuiting, the S8JX-G is as reliable as you may expect from Omron. Remote Sensing, to compensate for voltage drops on the load lines. 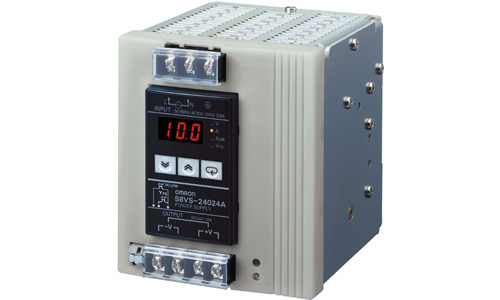 Remote Control, using an external signal allows to turn the output ON and OFF without removing the input voltage. Alarm Output, informing about PS errors, such as fan failure or insufficient voltage. The S8JX-P family is available for 5, 12, 24 and 48VDC output voltages (15VDC is also available for S8JX-G 15W and 35W). The range of power ratings covers 50W, 100W, 150W, 300W and 600W with all the output voltages available through the whole range. 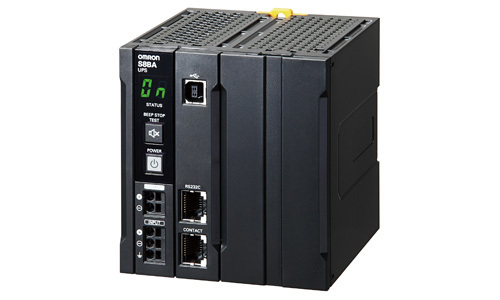 The S8BA is a compact DC-DC UPS solution with DIN rail mounting. 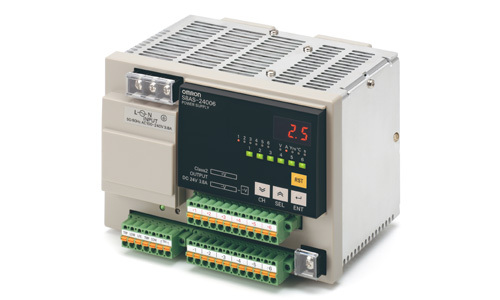 During power failure or voltage drop, it provides reliability best suited for controllers and industrial-purpose computers (IPC).